One of the goals of the industrial revolution was to have machines simulate physical tasks to produce outputs more efficiently. Fast forward to the present. The purpose of artificial intelligence, also known as AI, is to simulate any mental task. Machine learning is arguably one of the most important subsets of AI because it effects all other fields within AI. In any industry, you have a pattern or a model that you know to be true, you make a prediction, and then you update your model based on the result. This represents the learning process of machine learning. 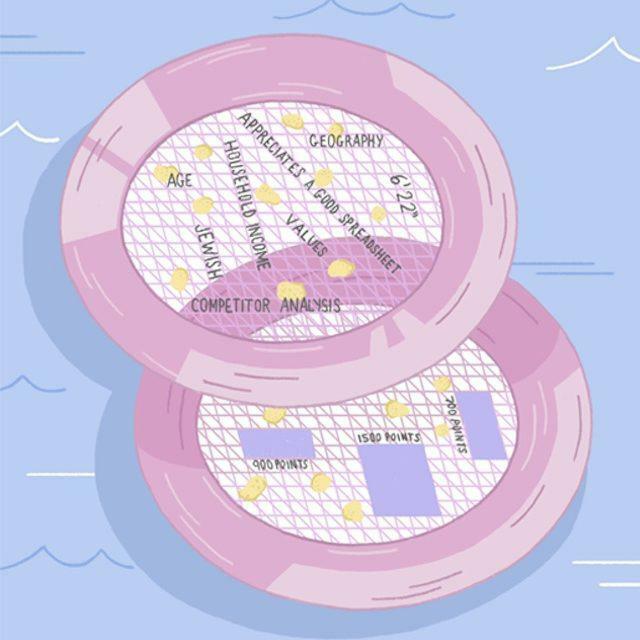 The introduction of this technology into industries like music, online dating, online publications, video-sharing and sports is becoming vital to each organization’s competitive sustainability. The more data you have, the better the accuracy of your machine learning algorithm. In the music industry access to information presents a big challenge, but once you have it, the question becomes, how can you use and manipulate it using machine learning? Let us quickly recap why access to data is such a big challenge in the music industry. 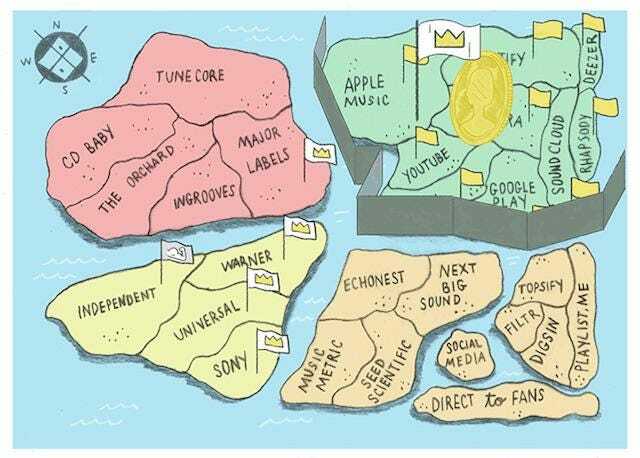 In this metaphor, the “majors” represent Sony Music, Universal Music Group and Warner Music Group. The “streams” represent streaming companies like, but not exclusive to, Spotify and Apple. The “gold” represents consumer data from streaming platforms. The majors and the streams sit knighted at the roundtable. The streams rule the island of consumption and as a result control access to the gold. The majors are granted access to the gold because they own most of the island of content and a share of land on the island of consumption. The independents own a smaller portion in the land of content, and as a result, they have to get their gold from Robin Hood. Also known as direct-to-fan platforms that provide consumer data to artists such as Pledge Music, Hive or Superphone. The question is, once you have access to the gold, what do you do with it and how can you maximize its value? Have you ever been hunting for gold? How do you go about it? You get a sieve, you dip the pan into the water, and you pull up a whole bunch of dirt, mud, rocks, and stuff that you do not need. However, somewhere in there is your gold, otherwise known as your actionable engagement data. Engagement data can be the “rate of collections,” “follower change,” “plays per user,” or a “save,” otherwise known as a “collection” from a playlist. The term, “collection,” on Spotify, refers to when someone listens to a song, presses the add sign and adds the song to their library. Tapping into engagement metrics increase the likelihood of reaching potential super fans. Focusing on engagement data will allow a label to make more targeted business decisions across all verticals while driving revenue. According to a Goldman Sachs report released earlier this year, streaming will drive over $34 billion dollars worth of total revenue in the music business by 2030. That is a whole lot of streams, a whole lot of royalty payments, and a tremendous amount of data. The motivations of the person holding the filter have a direct impact on how the filters are designed, and subsequently how much gold you get. For example, the primary goals for a streaming platform like Apple, Spotify, Google Play or Deezer is to turn non-paying subscribers into paying subscribers. A major label’s goal is to create, and then market hit songs while turning passive fans into super fans, similar to the rabid Beliebers of the world. Two years ago, Spotify launched a marketing campaign called “Found Them First.” The microsite lets users see which musicians they heard on Spotify before they became a breakout artist. From a label perspective, Spotify quantified what it means to be an early adopting fan. The point is that this potentially impactful mechanism was used to drive subscriber growth, not artist careers. Industry players who have access to the gold are now competing with the help of their filtration ability. 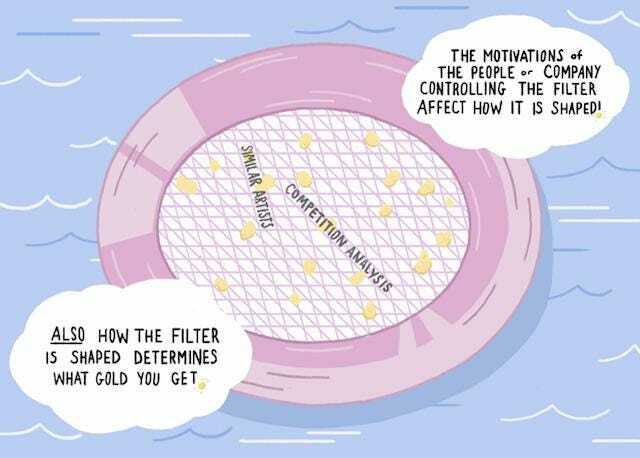 How can you design your sieve to get the gold you need, when you need it, to drive a higher return than your competitor. 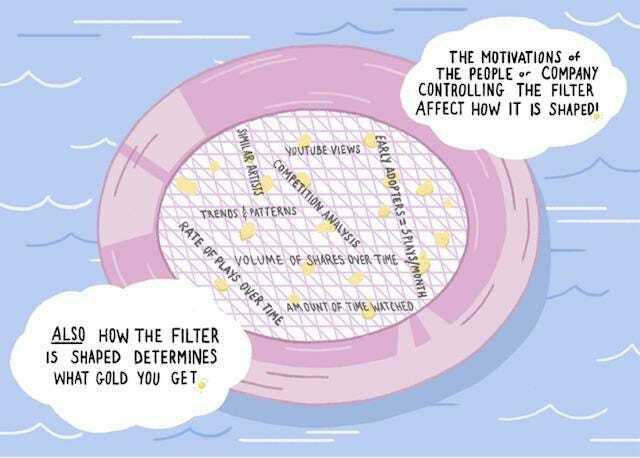 But music is not the only industry working to create the perfect filter. In fact, one should pay attention to the advancements being made in other industries because of the parallel applicability to the music industry. In 2013, Amy Webb went on the TED stage and spoke about hacking the online dating code. She amassed 72 data points of her perfect man, everything from Jewish, to athletic, wants two children, is an adventurer, to even his appreciation of things. It was crucial for Webb that her perfect man appreciated an excellent spreadsheet. She then prioritized each data point, breaking them down into two tiers, giving each data point a score between 1 and 100. Amy then built a scoring system. If her perfect man scored 700 points she would send him an email, if he scored 900 points, she would have a phone call, and if her potential ideal man scored 1500 points, that meant there was long-term relationship potential, and they could go on a date. Amy started getting all of these fantastic matches, except there was one problem. These men didn’t like her back. Amy had forgotten to analyze the competition. She scraped the top profiles on the dating site, in music this could be compared to examining the social or streaming patterns of similar artists. She analyzed her competition’s photo, humor, tone, voice, communication style, the average length of description, and time between posts. Amy’s profile ended up becoming the highest ranking profile on the dating site. Soon after, a man scored 850 points, which she hadn’t seen before. Three weeks later they went on a date. A year and a half later they got engaged, and two years later they had their first child. Now, If an algorithm can be used to narrow down your choices for a lifelong partner, then an algorithm can be used to find a fan that is guaranteed to spend $100 on your artist per year. Just as Webb broke down her perfect man into 72 data points, so an artist can break down the characteristics of their potential super fan. For example, suppose Beyonce’s base of super fans could be broken down as female, ages 27-34, with a typical purchasing pattern of buying premium brand diapers because they want to show that they are good mothers. If you rank these points, give them a score and run them through a scoring system. It is then possible to target the fans that are most likely to engage with your artist. For example, if your fan scores 700 points, you send a targeted Facebook ad, if your fan scores 900 points you send them an email and if your fan scores 1500 points you send them a personalized email with a free concert ticket. The ability to find your true fan suggests that automatic marketing capabilities are not only possible but in our near future. However, the type of marketing actions that a label might engage in will differ based on the stage of the artist and genre. This assumes that fan types differ per genre and fan engagement differs depending on the stage of the artist. However, online dating algorithms are not the only industry that provides interesting parallels to music. Assume that you have access to granular level engagement data from streaming platforms such as the “rate of collections” and the “rate of replays per user,” all by a zip code level granularity. How could you use this information to not only target market but predict the likelihood of a potential superfan? The best industry parallel to consider in this example is YouTube’s Recommendation algorithm. Youtube, fueled by their parent company’s artificial intelligence division, Google Brain, has successfully accelerated their recommendation capabilities through a series of micro-improvements. For example, roughly four years ago, YouTube made its first significant improvement to its recommendation algorithm when it decided to value the number of times users spent watching a video more than the number of video clicks per person. With this one move, creator’s saw their view counts decline, who had originally profited from misleading headlines and thumbnails. All of a sudden, higher quality videos which were directly correlated with long watch times came to the forefront. As a result, watch time on YouTube grew 50% year over year over the next three years. Google Brain learns independently by picking up on less apparent patterns at an accelerated rate. This technique is called unsupervised learning. Another micro-change caused by Google Brain was the choice by YouTube to recommend shorter videos for users on mobile apps and longer videos on YouTube’s TV app. Google brain picked up on the notion that varying video length by platform would result in higher watch times. In music, this could be compared to varying advertising length based on the platform assuming shorting ads for mobile and longer ads for the desktop. In 2016, Youtube launched 190 micro-changes on Google Brain and is said to be on pace to release 300 more microswitches by 2017. The implementation of Google Brain has increased the time people spend watching videos on YouTube by 70%. Deep Reinforcement learning technology like this will be a catalyst to drive the music industry forward. This will likely be the case for United Masters, a recently publicized record label. Led by Steve Stoute, the former president of Interscope records, $70 million dollars was raised in a Series A investor round, led by Google’s corporate parent, Alphabet. Other investors include Floodgate, Andreessen Horowitz, and 20th Century Fox. One of the company’s core competencies will be its ability to target market high potential superfans based on learned data from sources including YouTube and Spotify. When Joe Lacob became the owner of the NBA’s Golden State Warriors, he adopted a data-driven strategy. Lacob and his team analyzed player behavior across the NBA and identified the number of three-point shots taken as being “market inefficient.” They concluded that roughly the same number of shots were being made from just inside the three-point line as outside it. Therefore they built their strategy around the notion that if their players, particularly Stephen Curry moved back a few inches from the three-point line before shooting, it would improve their point scoring average by 43%. With a data-driven strategy, Jacob Lacob took the Golden State Warriors, a team that hadn’t won an NBA Championship since 1975, to win against the Cleveland Cavaliers in the 2015 Championships. The NBA identified a pattern based on a common activity within the game. Here are a few examples where patterns are likely to be found in the music industry; the genre of playlists people are listening to, the time of day people listen to certain genres, and the effect that holidays, political events, or an artist’s passing have on music consumption. Buzzfeed is a social news and entertainment company. Buzzfeed invented an internal proprietary metric that curates articles based on reader preference. They do this by measuring the “rate of shares over time,” within the first weeks of an article’s release. Buzzfeed decided that a reader sharing a piece was more valuable than a click. Have you ever clicked on an article or played a song and walked away from your computer? What the act of sharing an article or saving a song to your Spotify collections shows is a higher level of engagement in comparison to a stream or a click. Arguably, this is helping to ensure a return on your investment. So a “share” is more valuable than a “click,” and a “collection” is more valuable than a “stream.” By calculating the “rate of shares over time” or the “rate of collections over time,” you’re not only making sure that the consumers you are targeting are engaged but that they are growing significantly over time. As of mid-2017, Buzzfeed was estimated at approximately $1.7 billion dollars and was processing roughly seven billion monthly content views. With the sheer volume of streaming data growing year over year, the ability to enhance and fine-tune marketing capabilities in the music industry is endless. It comes down to access to the data that you need and the software capabilities to intelligently process and act upon that information. Moving forward into 2030, success as a label will come down to a company’s ability to pair its human capital with intelligent software. I am the CEO of Westcott Multimedia, an advertising technology and software firm that leverages streaming data to optimize online engagement for the entertainment industry. I am originally from Toronto, Canada or as Drake calls it, “The 6.” As a contributor at AudioMicro.com, I write about the business of music technology, media and entertainment. 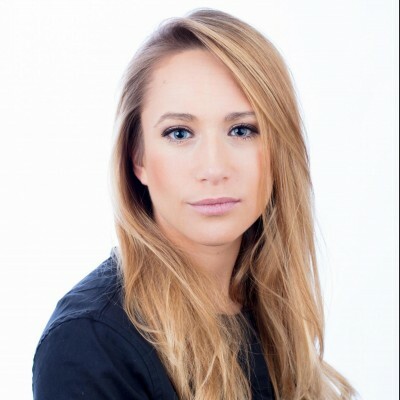 Previously I managed Global Playlist Strategies at Universal Music Group in Nashville and worked as an Entertainment Analyst at Magna Investments in New York City. I received my Masters in Music & Business from New York University’s Steinhardt School of Culture and studied at the Stern School of Business. My work has also appeared in Billboard, The Hollywood Reporter, Medium and The Hook Brief.